Funny characters with hilarious facial expressions! A fun new spin on the tower balancing game! 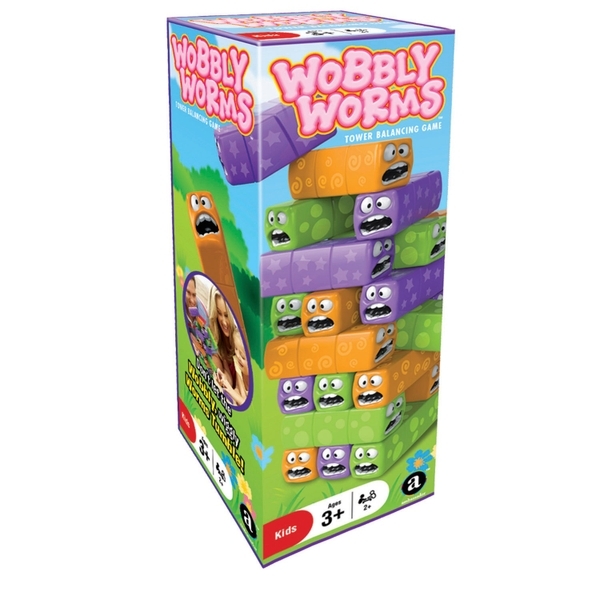 Wooden blocks have been replaced with colourful, silly worms. Roll the dice then move a block of that colour up to the top of the tower. Be careful not to let the tower tumble!